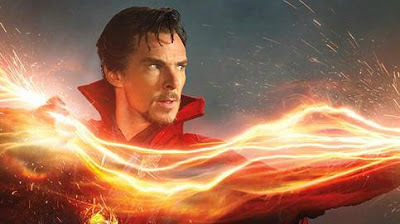 When Marvel announced the casting of Benedict Cumberbatch as Doctor Strange just about everyone rejoiced, but it came oh so close to not happening. In the latest edition of Entertainment Weekly, Marvel Studios boss Kevin Feige explains how Marvel courted Cumberbatch for some time and looked at other stars for the role. “He was someone that we were very interested in for a very long time,” says Feige, talking on the London set of Doctor Strange. “[But] he kept getting more and more popular! [Laughs] Which is not [essential] for us. Chris Pratt was not popular when we cast him in Guardians. That’s not a prerequisite needed for us casting [someone]. But he kept getting more popular, and more popular, and he kept getting busier, and busier, and it looked like the timing wasn’t going to work.” So we looked at some other actors for a while and ultimately decided, ‘We have to try and make it work with Benedict and with his schedule.'" Check out the rest of the Entertainment Weekly interview below.